The champions have been dethroned. Roberto Mancini has been sacked. But Manuel Pellegrini has made an astounding start with some shrewd signings this summer break. The sky-blues will be hungry to regain the championship that they relinquished so easily under Roberto Mancini last season. Under Manuel Pellegrini they look fresh and energised, ready to claw it back from the cusp of Manchester United's hands. Joe Hart received a lot of criticism last year from pundits because of mistakes and inconsistency. Costel Pantilimon proved himself to be a great back-up option in the process but the Englishman will still keep the gloves. Matija Nastasic is injured and so are a lot of others in defence so it's not looking good as far as defending is concerned. It's only LOIC REMY and PAPISS CISSE in the opening game that the fringe defenders must handle. The starting back four for most games will probably be Kompany, Nastasic, Clichy and Zabaleta and Richards will rotate. I think City's midfield rivals Chelsea's in creativity and also in being the best in the division. 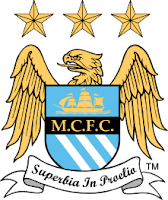 Stars include David Silva, Yaya Toure, James Milner and new signings Fernandinho and Jesus Navas. Not to mention forgotten heroes like French playmaker Samir Nasri and Gareth Barry. There is also developing youngster Abdul Razak and Jack Rodwell so depth will not be a problem for them this year. City's midfield is comfortably set for a long season and the only problem is, who will start? Like the midfield, the strikeforce is probably the best in the Premier League at the moment, they are all world-class. Carlos Tevez has left six months after Mario Balotelli and the replacements aren't bad. Stevan Jovetic is exciting to watch and is very young, and Alvaro Negredo has been scoring goals all his life. Edin Dzeko has definitely impressed me the most in pre-season and I can see why Manuel Pellegrini wanted him to stay. He has scored some belters. Also, remember Sergio Aguero? The little Argentine has been forgotten in the summer and it doesn't look like he'll be staying at the Etihad, but in my opinion he is still the best of the lot. Manchester City have an absolutely fantastic squad to be starting the campaign with, and I think that they will win the Barclays Premier League again, just because I don't think David Moyes has had enough time to win a league title yet. PREVIEW of Manchester City for the 2013/14 season of the Barclays Premier League.